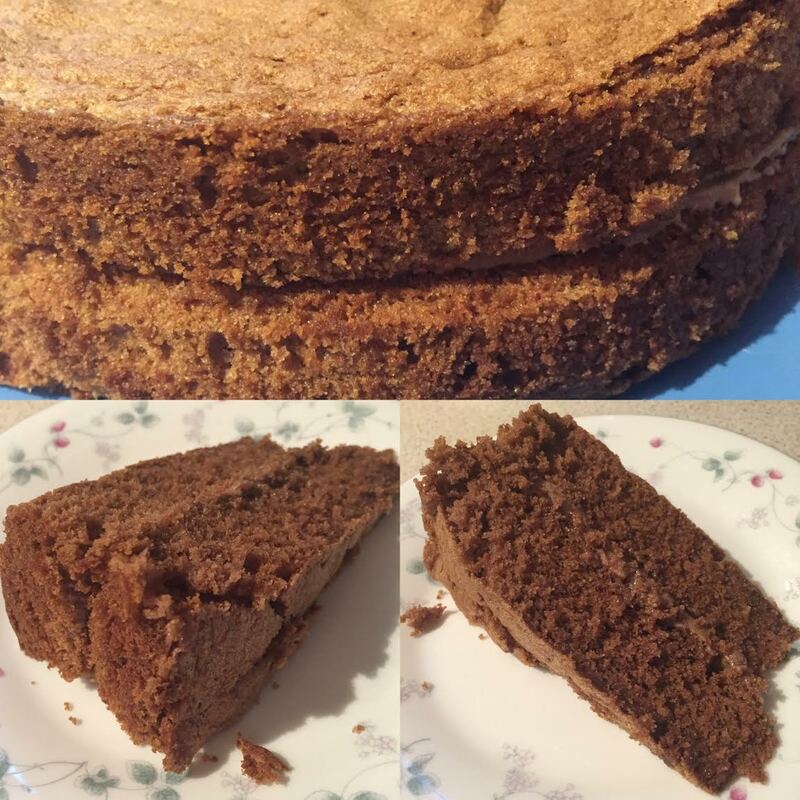 I thought I’d share my yummy chocolate cake recipe with you today, this recipe works with any kind of cocoa powder so it doesn’t matter what you choose, also the flour can be substituted for gluten free flour if you are wheat intolerant! Preheat your oven to 160°c if using a fan oven, or 170°c if you aren’t using a fan oven. Grease and line two 8 or 9 inch sandwich tins ready to pour the batter into. Whisk all your ingredients together using an electric whisk or a kitchen aid mixer. Split the cake batter into the two tins and spread out using the back of a spoon. Place into the oven for 25 mins or until you can insert a skewer into the middle and it comes out dry. Leave to cool for 5 minutes before removing from the cake tins. Leave to completely cool while you make the filling. 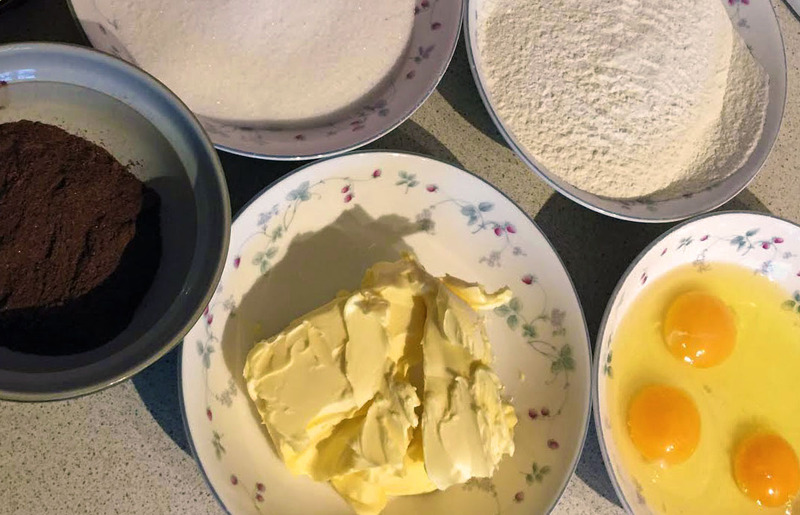 Mix the ingredients together until they are smooth and creamy and then spread onto one half of the cake and place the other half of the cake on top. You can create more of the filling to spread over the top of the cake or you can lightly dust the cake with icing sugar to give it a pretty finishing touch.